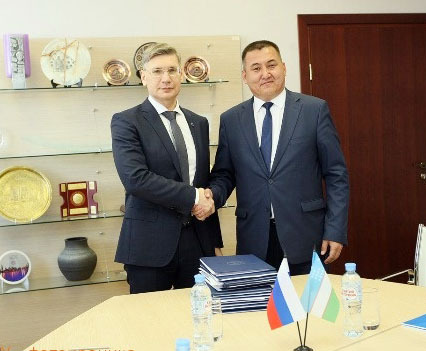 As we know, last year on October 18-20, in Tashkent, on purpose of further developing of the educational system between Uzbekistan and Russia, as well as increasing the international cooperation between higher educational institutions of the two countries at a new level, «Educational Forum: Uzbekistan – Russia» was held. Within the framework of this forum, the communications between higher educational institutions of the two countries were established. 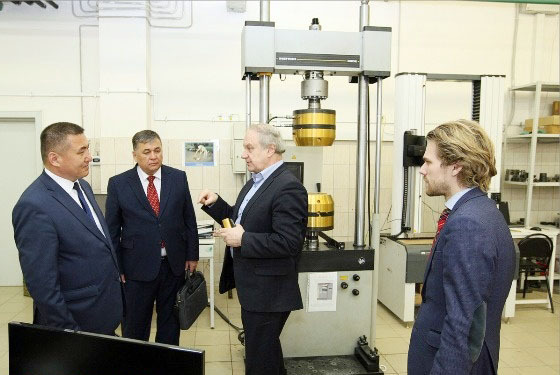 As a further development of these communications, on April 11-12 this year, the delegation headed by Rector of Karakalpak State University named after Berdakh Akhmet Reymov visited the Moscow State National Research Building University. During the event, the rectors of the two universities discussed work plans for future further cooperation and signed agreements on academic mobility of relevant specialties, doctoral studies, the teachers’ experience exchange, and the organization of joint scientific conferences. Thus, the delegation of KSU got acquainted and exchanged opinions on the wind resistance of buildings of the Moscow State National Research University, aerodynamic tunnel, testing the quality of building materials and buildings, test models and scientific laboratories of the construction of “Smart Houses”.